Herbal Garden Soap Company is a family-centered business that creates handcrafted soaps that are good for the body and soul. They love the simple things as reflected in their all-natural & luxurious body care products. We are excited to welcome Herbal Garden Soap Company to the Chicago Artisan Market on Sunday, December 2, 2018 at Morgan MFG, where they will be joined 110+ top artisans in food, fashion, home goods + art. They use all-natural oils and butters, oatmeal for gentle exfoliation and pure therapy grade essential oils. Some of the oils are infused with locally grown organic herbs and botanicals. Herbal Garden Soap Company never uses chemicals, alcohol or non-natural colorants. 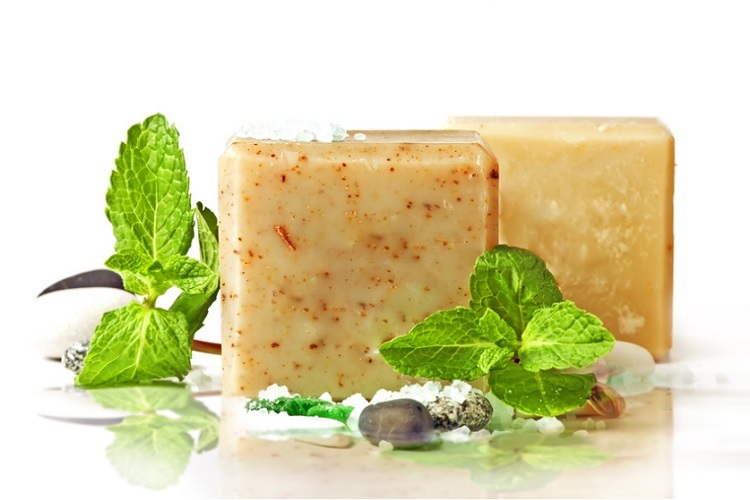 For those who are sensitive to natural essential oils, a fragrance free bar soap is offered. The soaps are made in small batches using the old fashioned cold process method, and then they are cured for 4 to 6 weeks.